The flavors of Mexico, rolled into every bite. 1. 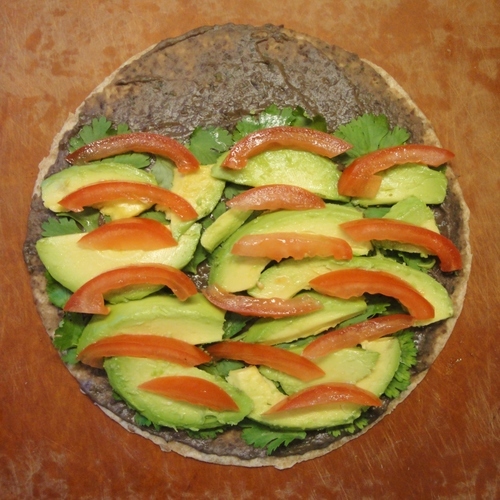 Lay the tortilla on a clean, flat work surface. 2. 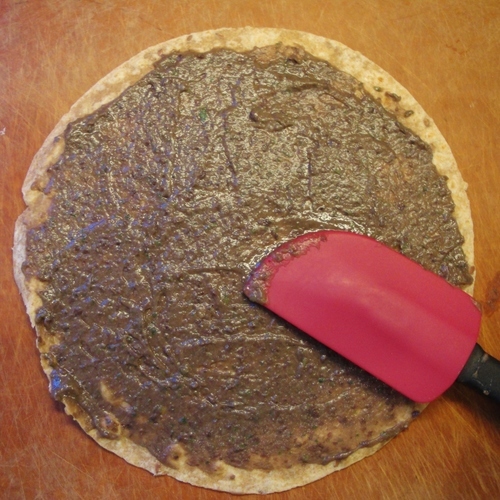 Use a spatula or the back of a large spoon to spread the Black Bean Spread over the whole surface of the tortilla. 3. 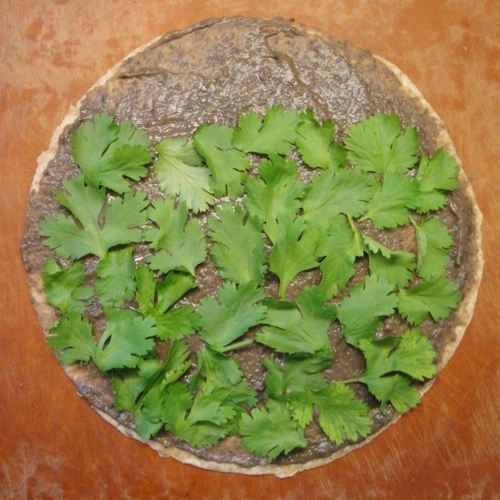 Lay the cilantro leaves in one even layer over the bottom 3/4 of the tortilla. 6. Lay the strips of chicken horizontally in an even layer over the bottom 3/4 of the tortilla. 7. You are ready to roll! Start where the ingredients go all the way to the end of the tortilla and begin to roll the tortilla up from the bottom, rolling all the ingredients inside as you go. 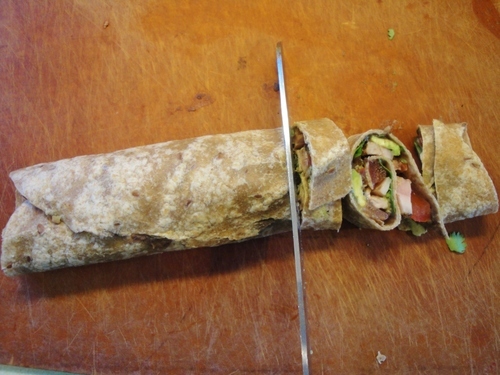 A nice, tight roll will produce beautiful pinwheels. 9. Carefully lay the slices on their sides on the plate to serve. I originally created this recipe for a class called Make Your Own Lunch, which I taught after school for 3rd-5th graders at a local elementary school. The step-by-step photos and instructions can hopefully help your child make her/his own lunch, too!